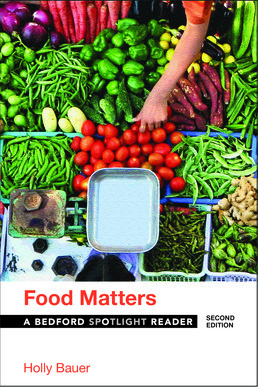 The Bedford Spotlight Series brings critical topics to life in a portable and cost-effective reader. In this volume, you’ll explore these questions: What is food, exactly? What is the purpose of food: sustenance, pleasure, health? How does what we eat determine and reflect our identities? What political, social, and cultural forces affect our food choices? Readings by essayists, scientists, linguists, journalists, farmers, artists, and ordinary citizens take up these questions and more. This book helps you form your own questions and responses as you investigate and write about this popular and intellectually rich topic. It includes the essays and assignments you need in order to do your coursework. Visit macmillanlearning.com/spotlight. Chapter 1. What Is the Purpose of Food? Chapter 2. If You Are What You Eat, Who Are You? *Daniel Jurafsky, Does This Name Make Me Sound Fat? Chapter 3. How Do Social and Political Forces Affect Food Choices? Chapter 4. What Does It Mean to Eat Ethically? Peter Singer, Equality for Animals? Chapter 5. What Is the Future of Food? David Biello, Will Organic Food Fail to Feed the World? *Jonathan Foley, Can We Feed the World and Sustain the Planet? 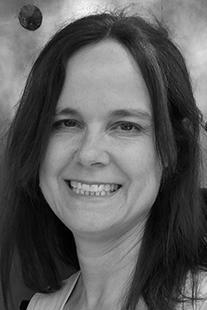 Holly Bauer (PhD University of California, San Diego) worked as a journalist before she began teaching college composition. Currently, she teaches academic writing at the University of California, San Diego, where she has received distinguished teaching and service awards as the Associate Director of the Basic Writing Program. Dr. Bauer regularly teaches writing courses focused on the themes of food, water, and sustainability. She has taught writing for more than 20 years in various segments of public education in California, including high school, community college, and state university institutions. Shes is a long-time teaching consultant for the San Diego Area Writing Project and is involved in several programs aimed at fostering meaningful cross-institutional partnerships with high school, community college, and university writing instructors. Her academic essays have been published in South Atlantic Quarterly and Writing on the Edge, and she is a frequent presenter at professional conferences.